As a proud Roots & Shoots program partner, New York University – Abu Dhabi (NYUAD) Community Outreach is excited to share two exciting environmental outreach initiatives that are part of NYUAD’s Service Kashtah program. For 2018, we are honoring the UAE’s Year of Zayed with an environmental focus.. 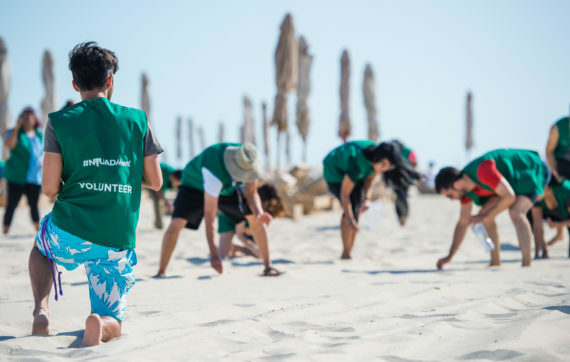 Earlier this month, the Give a GhafService Kashtah brought together 60 student volunteers from around the UAE for a day of learning about sustainability in the desert environment. Through this educational day trip, students worked together to plant 250 of the UAE’s national Ghaf tree seeds at Dubai Al Barari Nursery to support the founding father’s vision of transforming the desert into a green haven. The Goumbook’s Give a Ghaf conservation program isimportant to the desert environment because ghaf trees serve as the basis of whole miniature ecosystems relying on their shade, seed pods, and leaves, and only require 5 litres of water per day whereas palm trees guzzle up to 300. To date, NYUAD and its community partners have planted 2,500 Ghaf trees! A special thank you from NYUAD to our community volunteers from partner institutions: Home Education Network of Abu Dhabi, Sheikh Zayed Private Academy for Girls, Abu Dhabi Homeschoolers Association, and Zayed University. You can find an album of photos from the event here. So what in the world is a Nurdle? 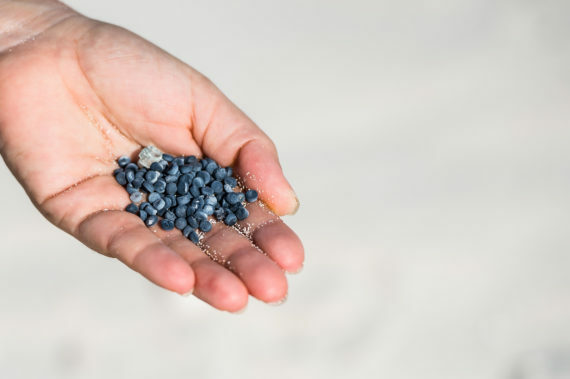 Nurdles are small plastic pellets used in the manufacturing of plastic products. Due to spills and mishandling, they often end up in the ocean, causing harm to marine life. The Great Nurdle Hunt is a fun & educational event held in collaboration with Arabella Willing, Park Hyatt Saadiyat Head of Conservation, where volunteers compete in teams to collect nurdles from the Saadiyat beach in this unique variation of a beach clean up, while learning about the impact of plastic pollution on our environment. Can we get a quote from Arabella to add here. 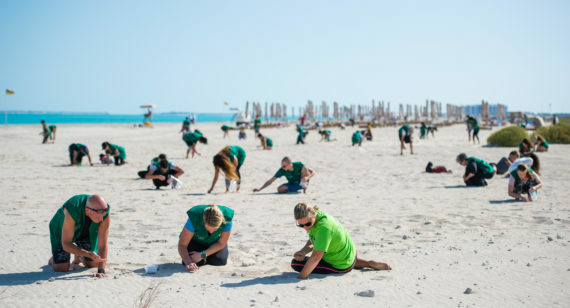 Last April, volunteers from NYUAD collected over 5,000 nurdlesin just one clean up! We hope to collect even more during our November 24th event. Save the date for the next NYUAD Nurdle Hunt Service Kashtah on February 16th. Read more about NYUAD students’ commitment to the environment here and join NYUAD Community Outreach on Facebook and Instagram to stay up-to-date with the latest opportunities to give back to your local environment.